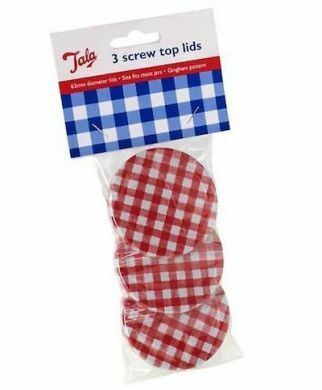 Tala set of 3 gingham jam jar screw top lids. 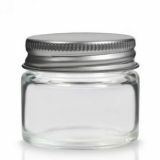 Universal size to fit most jam jars. Approx 8cm diameter. 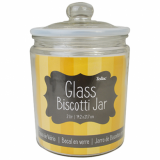 Tala is one of Britain's oldest and best loved kitchenware brands, trusted by cooks all over the world since 1899. In 1899 Frederick Taylor and Thomas Law began to produce kitchen items to satisfy the developing Victorian haradware market. The company took on its name Tala from the first two letters of the founders surnames. They produced a wide range of metal goods for kitchen and garden. The company was a great success and the workforce grew, widening Tala's influence on kitchenware throughout the UK. 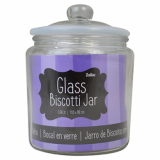 Products ranged from baking pans, icing syringes to galvanised tubs and travellers trunks. 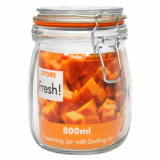 In 2000, Tala came under new management; two British Entrepreneurs experienced in kitchenware had noticed the great importance held not only by the British public, but many countries worldwide, for quality products, which are made here in the UK.